The author explains how the great Hindu god Shiva enjoyed consuming bhang, a marijuana mixture that would cause his body to make spontaneous movements. From these cannabis-inspired movements, Shiva brought the body-focused practices of dance and yoga to the world. 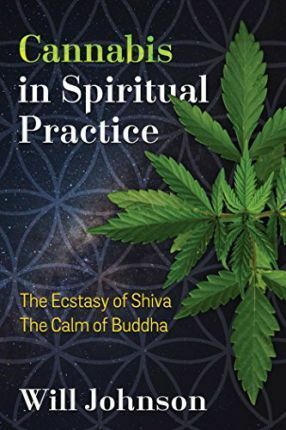 Examining the spiritual path of Shiva, including the Sadhu tradition, Johnson provides specific instructions and protocols for using marijuana as a sacrament as Shiva did. Will Johnson is the director of the Institute for Embodiment Training, a teaching school in Costa Rica that views the body as the doorway, not the obstacle, to real spiritual growth and transformation. The author of several books, including Breathing through the Whole Body, The Spiritual Practices of Rumi, and Eyes Wide Open, he teaches a deeply body-oriented approach to sitting meditation at Buddhist centers around the world.